Showroom-quality, luxury countertops aren't just for kitchens anymore! Here at Floor to Ceiling, located in Winter Garden, Florida we see no reason why you can't have the same indulgent amenities of a spa located right in your own bathroom! 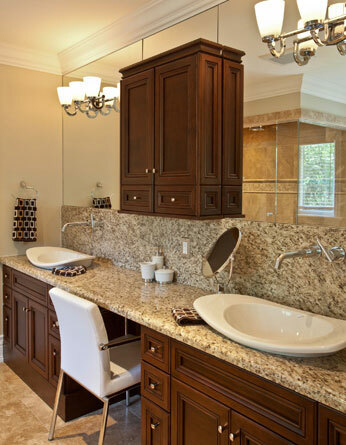 Aside from being beautiful, our bathroom countertops are made to be durable. Our high-quality brands, which include Cambria, Caesarstone & Zodiac are head, water and scratch resistant, perfect for the environment of your Orlando bathroom. We have a nearly endless supply of colors, finishes and edging options available to meet every style and budget. Stop by our showroom today and let us show you what our bathroom countertops can do for your home!